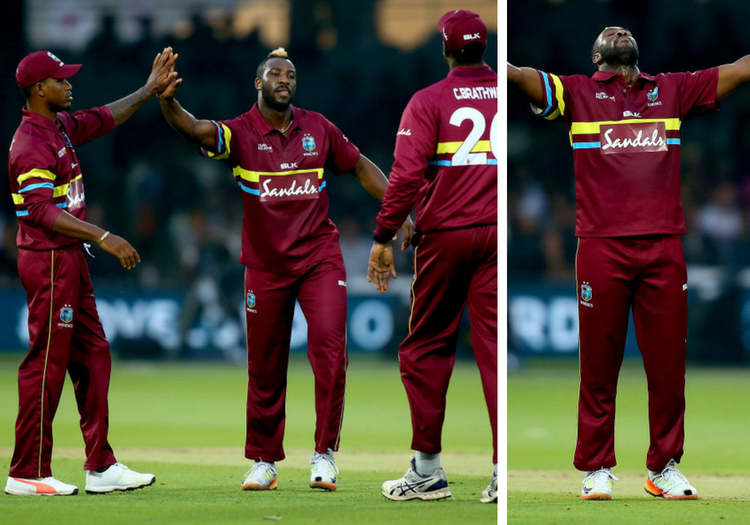 Andre Russell is back in the West Indies' one-day international squad ahead of the three-match series against Bangladesh. The allrounder is poised for an ODI comeback almost three years since his last appearance for his country in the format after being included in a 13-man squad. Russell last played in 50-over cricket for the Windies in November 2015 - a one-wicket defeat by Sri Lanka in Colombo - with his exile being influenced by a year-long ban incurred by an anti-doping whereabouts violation. However, fans in the Caribbean have been anticipating his return for some months. He played in the domestic Super 50 Championship, before ruling himself out of his country's participation in the World Cup Qualifier in Zimbabwe. Now, though, he is back and head coach Stuart Law is delighted to have the 30-year-old available to him. “This is the start of our prep for the 2019 [Cricket World Cup], opportunities for players to stake a claim to be included in the squad,” Law said. Marlon Samuels is a surprise exclusion, however. The veteran was involved in the World Cup Qualifier but does not make this selection. Carlos Brathwaite is also absent for the series, which is due to begin in Guyana on Sunday.